Are super heroes too old school? Ran out of text messages or mobile internet? No problem with JIM Mobile: Super Advantage Bundle man comes to the rescue! 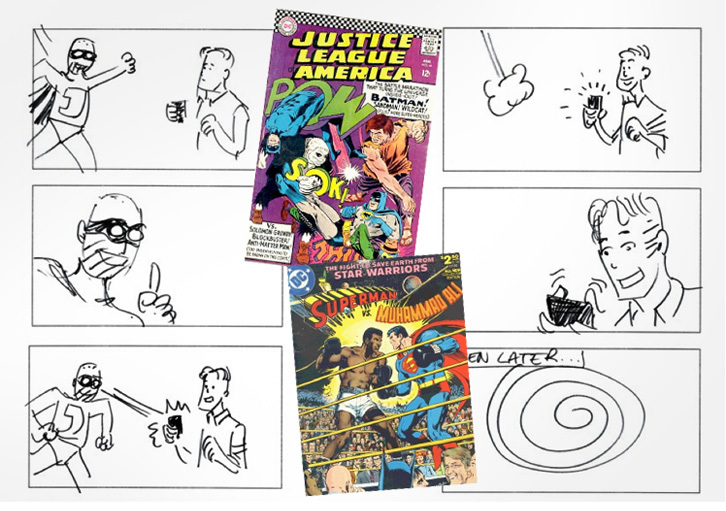 To launch JIM Mobile’s new offering including generous amounts of mobile data and text messaging, we came up with a childhood memory: cartoon superheroes. 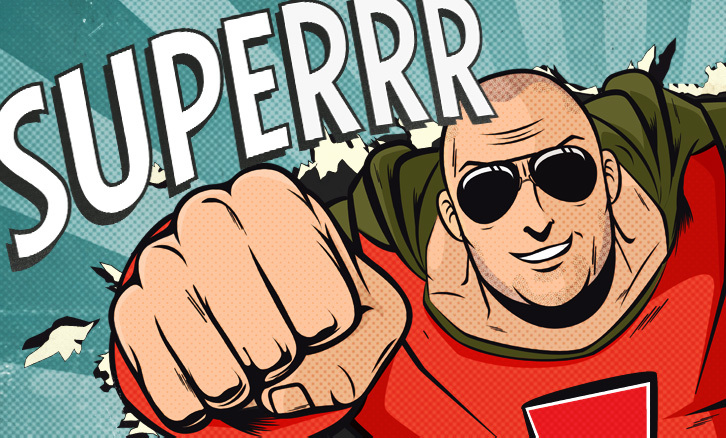 JIM Mobile’s “Super Advantage Bundles” are endorsed by a genuine superhero: Super Advantage Bundle Man! Whenever you run out of text messages or mobile data volume in an awkward situation, he comes to the rescue. If you run into a pack of zombies, no longer be afraid of having your guts ripped out! Distract the zombies with some killer thriller music and off you go! Odd chance, but should you encounter a mega-hot 50 ft cutie on your way home, you won’t run out of pickup lines anymore. Thanks to the generous data package included in the JIM Mobile Super Advantage Bundle, you can seek help online anytime you feel like it! 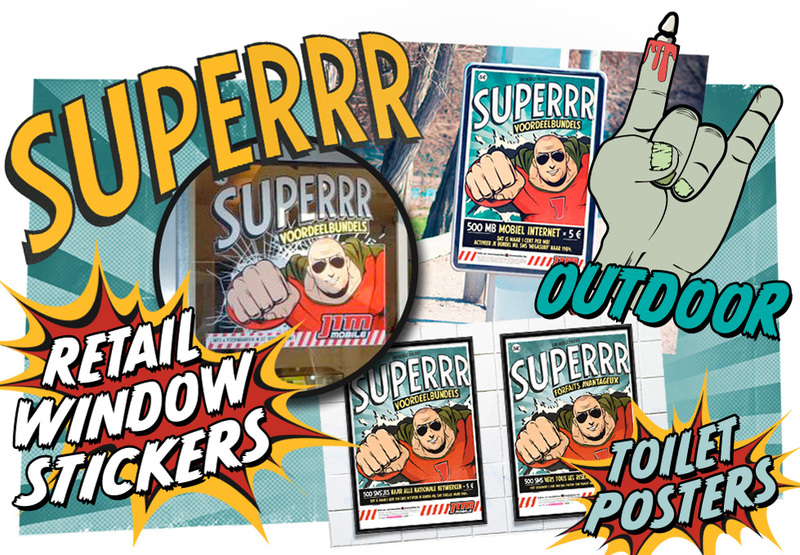 The Super Advantage Bundles are literally everywhere! 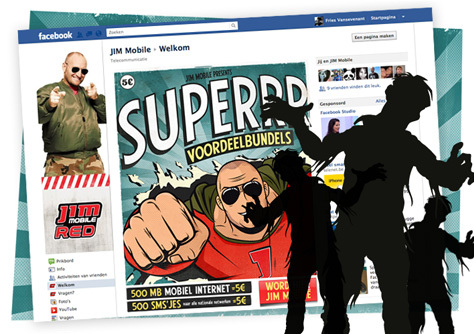 As most JIM Mobile campaigns, this one also included a custom landing tab on JIM Mobile’s facebook page. Another great way to put the offer in the spotlight right within the target audience! Need some privacy – or want your friends to come in? 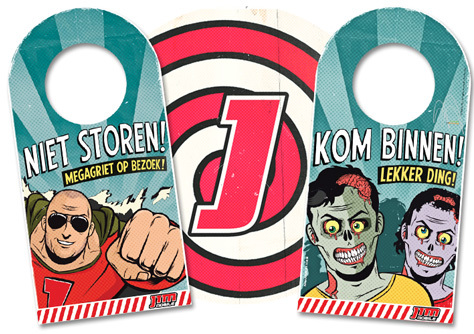 No problem thanks to the Super Advantage Bundle doorhangers!